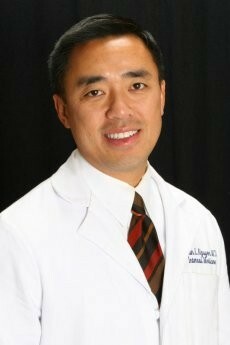 Dr. Brian L. Nguyen, MD has been practicing medicine for over sixteen years in Southern California. He currently has office locations in Sun City and Temecula, California. Fax: (951) 301-3980 31565 Rancho Pueblo Rd. Dr. Nguyen began his medical career in 1993 after graduating from Ross Medical School. He completed an internship at Martin Luther King-King Drew Medical Center in Los Angeles, California in 1994. Dr. Nguyen remained in Los Angeles until 1996 when he completed his residency in Internal Medicine at UCLA Wadsworth VA Medical Center. Everyone here is so helpful and kind. Just the doctor's office is a pleasure to come to. Such friendly people. Everyone here has treated me wonderfully! The doctor is very kind and understanding so is the PA Erin. Great staff very professional and polite. Keep up the great work. I see Dr. Erin Starr always comfortable with her and she always expresses and shows concern. I changed insurance company just to stay with her as my doctor. Always a great experience and I have never had any issues. Everyone is the office has always been polite and made me feel comfortable. PA Erin Starr, Romeo Castro, I believe saved my life while properly diagnosing me while all other specialists brushed me aside. Dr. Nguyen exceeds my expectations of an internist. He is compassionate, caring and always listens. He orders the appropriate tests or imaging to make a thorough diagnosis. Only second visit! Great so far. TV in waiting room could have Discovery channels or something interesting, NOT mindless game shows. Need something to lower BP. Has been my doctor for over 20 years. I love the staff here. Very patient, courteous and kind. No complaints. Excellent doctor. Excellent staff. Dr. Nguyen and staff is awesome. Everyone is quite busy but friendly. Dr. Nguyen demonstrates interest and concern for our health at our age. We felt confident in his professional knowledge and skills. Office stays warm and with courteous attitude. I just love this office! All of you are so professional, sweet, kind and understanding. I recommend anyone. I adore Erin Starr. She has always been so thorough and kind. Everyone here is so helpful and kind. Just the doctor's office is a pleasure to such friendly people. Great staff. Very professional and polite. Keep up the great work. I have been pleased with whole staff. Thanks for caring. Always a great experience and I have never had any issued. Everyone in the office has always been polite and made me feel comfortable. I see Dr. Erin Staff always comfortable with her and she always explains and shows concern. I changed insurance company just to stay with her as my doctor. I'm very happy with the office girls, doctor and staff and everyone working at this office. Very pleased with Dr. Nguyen and staff. Dr. Nguyen exceeds my expectations of an internist. He is compassionate and caring and always listens. He orders the appropriate tests and/or imaging to make a through diagnosis. You always talk to a life person. Dr. Nguyen and staff are amazing and wonderful people. They're very professional and there is a "family" feel to the environment. I highly recommend this office. I personally LOVE Dr. Erin Starr. Outstanding office and personnel. Best I have been to. I have nothing but good to say about my doctors. I am lucky to have them. The staff is also very good. The doctors and staff are excellent. I am highly satisfied that is why I drive from Hemet to see Dr. Nguyen and staff. Everyone is so helpful, professional and kind.